The top court directs Prime Minister Imran Khan to pay a fine in a case relating to illegal constructions in Banigala. Chief Justice Mian Saqib Nisar, who headed a seat of the Supreme Court, guided the PM to present a consistence report in the wake of paying the penalty. “Notice was taken on a complaint by the prime minister himself. He will have to pay a fine at first,” the top judge remarked. The CJP had taken a notice of encroachments in Banigala on the request of the prime minister in May, 2017. "Imran Khan should submit fees towards regularisation before anyone else," Chief Justice Nisar said. "Those responsible for illegal constructions need to be fined," the top judge Added. 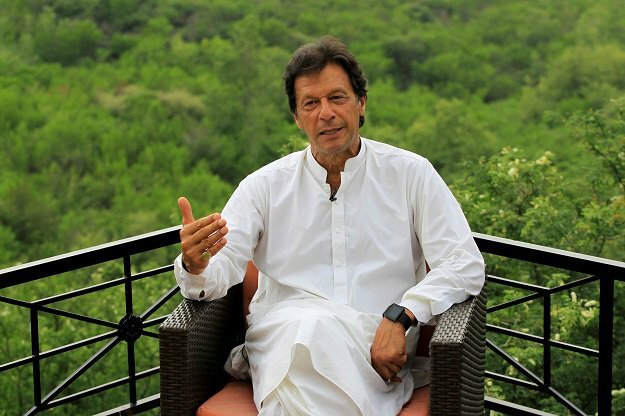 Consequently, the Islamabad Capital Territory (ICT) organization presented a report, educating the court that 122 illegal constructions in the zone incorporate a bit of Imran Khan's 300 kanal residence. Throughout hearing today, the top judge said if the head's Bani Gala residence isn't regularized, at that point it ought to be done after installment of the fine. Equity Nisar said Imran Khan himself had given five proposals previously he took office of the nation's CEO and that now he is in the administration he ought to get them executed. The zenith court guided the legislature to regularize the structures worked in Banigala without its consent and present a consistence report. The chief's legal counselor educated the judges that a gathering of the government bureau has been brought to give its endorsement in such manner.